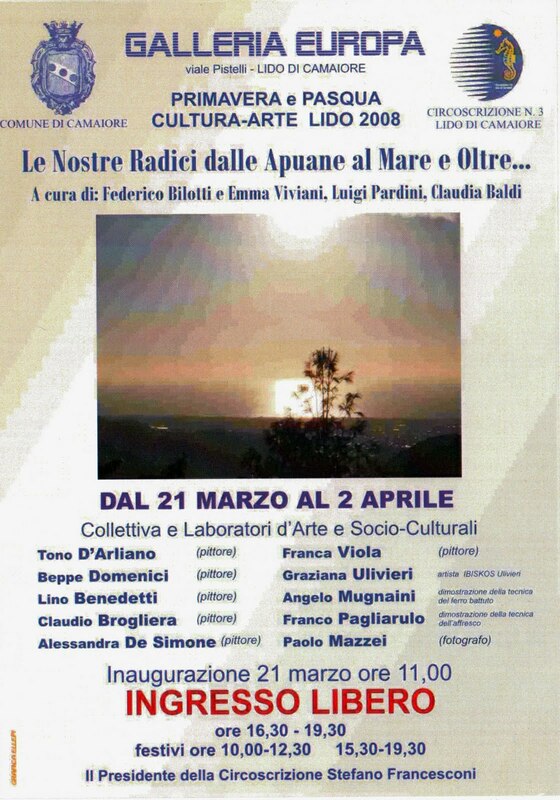 From March 21st to April 2nd 2008 the collective exhibition “Our Roots from the Apuans to the Sea and Beyond” will be held. 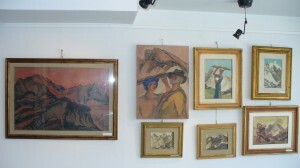 At the age of 84 he “hung up” the palette at the nail, after a 66 – year art work of painting between the sea and Apuane; beyond then wandering in the call among new people of overseas. 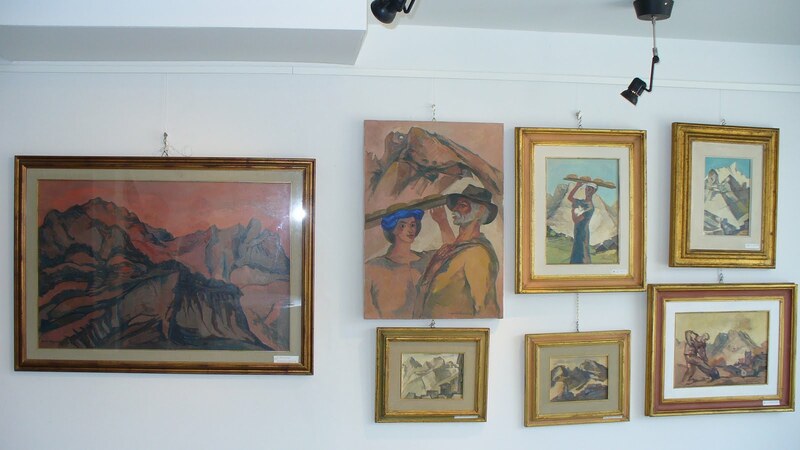 From the first works of the 1946-70 docks from the “bright chromaticism” BEPPE DOMENICI when it is in the mountain path in contemplation of steep points peaks, ridges, cliffs, gullies full of ravaneti dripped by white holes of the marble quarries, passes to the “Apulian chromaticism” “With calm tones, evocative in the search for an identity beyond pictorial. Own identity and also of the vital Apuan people made up of simple sincere hospitable families, human affective and industrious of quarrymen and farmers of the mountain. Dialogue with the monumental APUAN ALPS, facing the Tyrrhenian sea, penetrating their enchanting, almost unreal, but strong world, shaped by extraordinary sculptural forms thanks to the unusual epochal geodynamics. How could BEPPE DOMENICI escape from their fascinating irresistible call from a young age? << (…) prefers to set his scenes of work and rest in the landscape of his mountains, (… ) manages to make not only very realistic, but even symbolic images, (…) establishes with a small compositional and a perspective game, often clever and clever, those proportions and those relationships that should not be forgotten. >>. Ultimately the task of the work of art is the clear communication of its contents.